Fizz is an entertaining bubble pop game. Popping the bubbles is fun! But be careful, you will lose points by popping the wrong ones! In Fizz, you can gain points and/or time or even lose points depending on the bubbles you pop. Fizz is a strategic bubble popping game. Tilt your phone to slow the bubbles down, or speed them up. Beware, the longer the bubble stay on the screen, the bigger they get. Fizz has no in-app purchases, no third-party advertising, collects absolutely no data, and comes with the complete set of collections and languages. Fizz is Made For Kids! 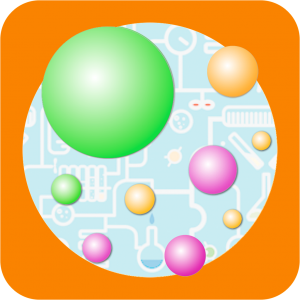 Fizz is a fun bubble pop game app for the iPhone and iPad, integrated with the iOS Game Center. 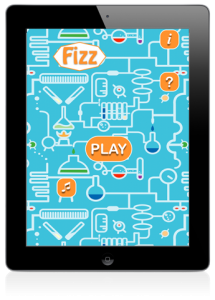 Fizz… a chemical reaction, a bubble blast that lasts 60 seconds! Pop the bubbles to gain points or more time!